Set in “down east” Maine, Down East Dickering follows a group a colorful locals who wheel and deal their way through life by scouring the classified ads in Uncle Henry’s magazine, searching for odd jobs, crazy barters, and offbeat goods. For dickering pros Tony, Clint, Yummy and the rest of their gang, opportunity knocks every Thursday when their “bible” – the latest issue of Uncle Henry’s – is published. Whether it’s building a bridge, climbing a bell tower or officiating a wedding, they’ll do whatever it takes to make a few bucks so they can enjoy life on their own terms. 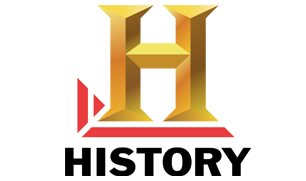 Down East Dickering premieres April 2 at 10/9c on History. Tony, Codfish, and Duke the dog.